Polymers play an important role in chemical industry. Polymers are majorly used in plastic and packaging industry. More than 80% of polymers used globally are derivatives or by products of petroleum industry. To overcome negative impacts of conventional polymers, biopolymers were introduced which are bio-degradable in nature. Biopolymers are derived naturally from plant proteins and starch which can be easily decomposed in the environment. As sources of fossil fuels and petroleum are shrinking, demands for biopolymers are increasing as they are produce from the renewable sources. Usage of biopolymers is a vital step to conserve fossil fuels and for sustainable development. Advanced properties of bioploymers such as protection from moisture, easy distribution and long shelf life are making them a better alternate than conventional plastic materials. Biopolymers are basically extracted from the biomass for the use in packaging industry. Biomass basically consists of non-food crops like sugar beet, potatoes and wheat to produce poly lactic acid (PLA). Volatility in the prices of crude oil and limited availability of fossil fuel resources boosts the growth of bio polymer market. Government initiatives and mandates to limit the manufacturing of plastic polymer based packaging is one of the major factors which are shifting the packaging industry towards the adoption of biopolymers. Vast application of biopolymer in medical industry for controlled drug release and wound management will help the business players to increase the penetration of products in healthcare sector. Rising awareness among the population in developed countries towards the harmful effects of packaging materials of food items and increasing demand of eco-friendly packaging materials propel the growth of global biopolymer market. Stringent government regulations for the usage of conventional plastics and packaging materials also boost the biopolymer market. In Addition, fluctuations in prices of petroleum and its shrinking sources lead the manufacturers to shift towards biopolymers, as the raw materials used in production of biopolymers are renewable. Calcium alginate, chitosan, collagen and gelatin are few examples of biopolymers used in pharmaceutical industry for the purposes such as controlled drug release, artificial skin, dental materials and cosmetics among others. On the basis of aforementioned pharmaceutical products, global biopolymer market is expected to dominate the synthetic polymer market. However, cost-effectiveness of conventional plastics over biopolymers is the major factor hindering the growth of global biopolymer market. Huge research & development investment requirement for the development of biopolymers is one of the major challenges for the new entrants. Weak mechanical properties as per the requirement of plastic industry throttle the growth of global biopolymer market. Global Biopolymer market is expected to witness significant growth over the forecast period. The biopolymer market accounted for USD 3.2 billion in 2015 and expected to reach USD 9.8 billion by the end of forecast period i.e. 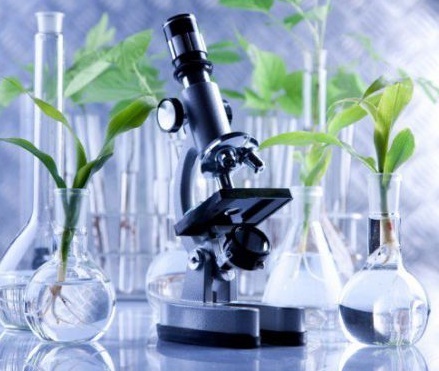 2024. biopolymer marketRegardless of being a niche market, the global Further the market is anticipated to expand at compound annual growth rate of 11.2% over the forecast period i.e. 2016-2024. Europe is the major consumer of Biopolymer products in global market. Effective laws and regulation in Western Europe, contributes in dominance of Europe in global market throughout the forecast period. Europe 2020, Horizon 2020, Bioeconomy Strategy are some of the legal frameworks for the success of bio plastic industry in Europe. North-America is going to dominate the market followed by Europe region. Asia-pacific region anticipated to witness robust growth due to rapid industrialization and growing global pressure on developing regions to curb the pollution.